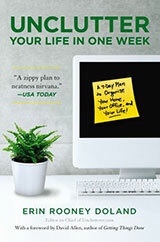 In the first installment in our series of getting started getting organized we went over the steps to uncluttering, which can be summarized as keep the things you use all the time, throw out what you don’t, and “practice living without” the things you’re ambivalent about, as Connie Cox and Cris Evatt, the authors of 30 Days to a Simpler Life, say. Today we’re going to cover the next step in the process, which is avoiding clutter in the first place. Clutter happens when you have too much stuff. We’re all guilty of acquiring more possessions than we need simply because we can. Sometimes a deal is just too good to pass up. Sometimes we buy something to make us feel better. And sometimes that new knick-knack just seemed like a very good idea at the time, but in retrospect, what were you thinking? Cox and Evatt share a simple maxim that was a revelation when I first read it. Never let anything cross the threshold of your home unless it’s something that you know you need or that you know you will love and cherish for a long time to come. That bobble-head you got for free for filing up your gas tank doesn’t count. Neither do pasta, bread or ice cream makers in most cases. Before you buy anything, ask yourself, do you really need it? Is it a replacement for something you’re throwing out? Is it another black sweater? Or is it something you don’t already have? If you’re just buying yourself a treat to reward yourself or cheer yourself up, consider a consumable, like a nice meal. Or, if you’re watching your figure, how about a movie or a concert. How about downloading some music or getting a massage or manicure. You get the picture. The idea is to not let anything into your home that won’t serve a purpose while not leading a monastic life. It takes some conscious effort, but it’s rewarding when you come home to a serene space. It is a wise person who can learn as much from failure as success. I try my best to gain what I can from mistakes and botched attempts, but there are times when it takes me more than once to learn a lesson. The actual paper folder is unnecessary, but the fundamental idea behind it is brilliant. 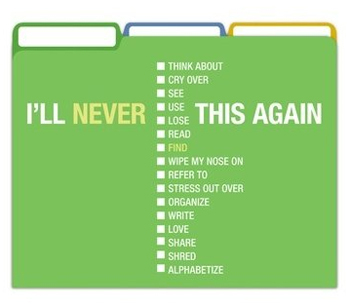 After seeing it, I created a folder on my computer called “Never Again.” Then, inside that folder, I made a series of plain text documents: Restaurants, Books, Websites, Ideas, Hotels, Vacations, Wines, and Gifts. In these documents I recorded important notes to myself about mistakes I’ve made in the past. The documents I put inside my “Never Again” file are on subjects that I instantly knew I had information to record. I’m sure that in a couple weeks I’ll have even more documents. Learning from mistakes helps improve productivity, saves time, and keeps us from spinning our wheels. Tracking our mistakes in an organized manner can help us to learn (probably best not to buy anyone a gift with nuts in it) and to free space in our mind to think of something else. If you’re worried about someone gaining access to your “Never Again” file on your computer, make the file password protected. A simple password will keep your mistakes from becoming public information. What “Never Again” documents would you create? Do you think this is a way that could help you learn from your mistakes and save you time in the future? 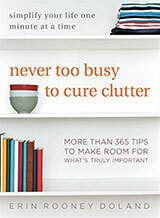 Sue Brenner, PCC, PMP, and author of The Naked Desk, sat down with Unclutterer editor Erin Doland to learn about her path to simple living, and decided to let you in on the conversation that took place back in 2008. 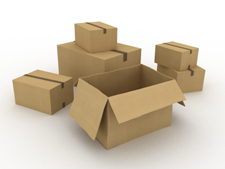 Clearing out the excess clutter in your life has parallel benefits, sometimes unexpected. Just as each gotten-rid-of item is one less thing in your physical way, it is also one less thing to occupy your thoughts and emotions. You are freed up to focus on the subjects that matter to you without the weight of all that excess stuff getting in the way. When Erin was in her 20s, she could pack everything she owned except her mattress into her 2-door hatchback. But when the dreaded call from her mom came telling her, “All of your stuff in my house has to go,” Erin suddenly found herself with boxes filled with childhood memorabilia and college life, along with a desire to hang on to it all. Not ready to let any of it go, she packed it all with her when she moved to Washington, D.C. Later, when she and her husband moved in together, they blended their lives and their things into an even smaller urban apartment. Every room spilled over with so much stuff they had no room to move. Looking at all their stuff, Erin couldn’t imagine how they could organize it, and she couldn’t even think about letting any of it go. Just the thought of dealing with any of it stressed her out, but she agreed with her husband that living this way wasn’t an option. Out of desperation, Erin had become interested in getting organized to set her married life off on the right foot. But with no built-in, natural propensity for organization or lightening her load, Erin had no idea where to begin. Erin’s first step was to begin to assess what everything was that was cluttering up her home. As she’s written about in previous posts, Erin had kept every note from high school and middle school. Like a mouse collecting morsels, she had kept every trinket that came her way, such as various key chains and t-shirts she had been given at fraternity parties. So much stuff that she had no use for but had packed away at the time because the things seemed worth saving. “Who knows what I thought I was going to do with all that stuff,” she said. Since it was tough to completely let go of all those memories, she decided to photograph a lot of the stuff — a great strategy for hanging onto the sentiment the thing represented without having to store the thing itself. Erin also realized that she was more likely to go through a photo album on a trip down memory lane than she was to ever go through boxes of stuff. Yes, it was a lot of work — it took Erin about six months to fully unclutter her new dwelling — but as the days progressed into weeks and then months, Erin got better and better at purging all that stuff and began to feel more and more invigorated the closer she got to her goal. That is peace of mind. And confidence too, I’d add. A real sense of accomplishment that feeds all the other areas of your life. So how has getting uncluttered influenced other areas of your life? Editors note: Erin’s pursuit of simple living continues as she shares her adventures traveling across North American in an even smaller residence — a motor home! Find out more at her website Tumbleweed.Life and check out the amazing photos on her Instagram feed. There are many wonderful things about living with others, but dealing with their clutter is most certainly not one of them. Living with my husband (and before that roommates) has always been a special challenge during times of emotional stress. You see, when I’m sailing through life, everything finds its way back to its place quickly because I put everything away as soon as I use it. However, when I’m feeling chaotic, you can’t see the bedroom floor and nothing goes back where it belongs. I nest using clothes and papers. When I lived alone, it did not bother me. When I was feeling this way, I would just wade through the clothes to find the bed, knowing that I would get out of the funk and get things cleaned up sooner or later. Now that I live with my husband in a tiny apartment, I can’t let the chaos take over too much. We’re both human, though, and the chaos does hit, sometimes at the same time but usually at different moments (meaning one wants to clean while the other is in a nesting mode). Say you are in a chaotic moment and your spouse/partner starts ranting at you about the mess you are leaving around. What would you do? In my case, my inner teenager comes out and I want to make the mess even worse just to get back at the unfair authority-figure ranting. Let’s say however, that you are more mature than I am, and recognize the ranting is not an attack on your intrinsic goodness. Instead, you use it to move yourself out of the chaos, dealing with the physical side first and letting the emotional clutter clear itself out. How wonderful, no? But what happens if it’s your companion(s) that let the clutter take over? How do you deal with it? Here are three Definitely Don’t and three Possibly Do actions. Don’t nag. It will just bring out the inner teenager and they might rebel and do things on purpose just to annoy you. Don’t get judgmental. People in a negative state don’t need negative reinforcement. Besides, it’s not like you have never had moments of clutter, hmmm??? You can re-order the place yourself, but don’t do it with a “how great am I?” nor with a martyr attitude. Do it because you want to or not at all. A superiority complex will only cause more problems in the end. Live with the chaos and hope that the person will snap out of it soon. After all, you go through chaotic periods too, I’m sure. Suggest an order the house day and make it a big fun event. Put on music, dress up in housekeeper outfits (or at least tie funny colored scarves on your head) and do a re-ordering. Re-order the place on your own and hope that the calm space will bring calm to the other person/people. Now it’s your turn. How do you deal with the clutter in the home caused by multiple people experiencing the ups and downs of life at different rates. Setting goals, working on projects, and tackling action items are three things I do on a regular basis to keep my work and personal life afloat. They’re the backbone of what I refer to as the Daily Grind. The Daily Grind doesn’t happen by accident, though. I’m not a person who sits around and lets things fall into her lap or wish for the perfect opportunity to open up to me. I try to have purpose to my actions and am proactive in my dealings. Because of my desire to live with purpose, guiding my Daily Grind is a personal Strategic Plan. Much like a Strategic Plan that guides a business, my plan guides who I want to be. It keeps me on track, helps me reach my goals, and keeps me from feeling like I’m in a rut or walking through life as a zombie. Similar to how a business creates a Strategic Plan, I created a plan for myself. In the book How Organizations Work by Alan Brache, strategy is defined as “the framework of choices that determine the nature and direction of an organization.” If you replace the words “an organization” with “my life” you get a solid idea of a personal Strategic Plan. Brache continues in his book to discuss how to create an effective Strategic Plan for a business. Building on his ideas, but with a bent toward the personal, I created the following process for how to create my plan and how you can create a plan, too. Collect data and analyze your current situation. What are your strengths? (The book Now, Discover Your Strengths can help you answer this question.) How do you process information? What in your life do you love? What activities in your life do you look forward to or wish you had more time to complete? What are the activities you loathe and want to get out of your life completely or reduce dramatically? What competes for your attention? What are your core beliefs and how does your life reflect those ideals? Do you like the things you say you like, or is habit guiding your behavior? Make the tough choices. How far into the future are you willing to work with this Strategy? (I recommend no more than three years.) Review the data you collected and analyzed in the first stage, and put into words your core beliefs that under no circumstance are you willing to break. State what obligations in your life you must fulfill. State your strengths and which of these should continually be highlighted in your life. What stands out the most in your life as being the positive force for your actions? More than anything else, what makes you happy? Communicate (draft) your personal Strategic Plan. Put into words the plan that will guide your Daily Grind. Write it in words that you understand and trigger memories of why and how you chose your plan. Your Strategic Plan isn’t a mission statement, it can fill more than one sentence of text. It probably won’t be a 20+ page document like many businesses create, but it should be at least a page or two containing the gist of your vision. Be realistic and let the document wholly reflect who you are and who you want to be. This is just for you, not anyone else, so let it speak to and for you. Work with your Strategic Plan as your guide. Make decisions about how you spend your time and all aspects of your Daily Grind under the guidance of your plan. Try your best to keep from straying outside the bounds of your Strategic Plan. Live with purpose. Monitor and maintain your Strategic Plan. Sometimes life throws us a wrench when we were looking for puppies and rainbows. Or, something even better than you ever imagined can happen. Update and monitor these changes and see if your Strategic Plan needs to be altered as a result. If no major change has taken place, evaluate your performance within your plan and check to see if you’re getting lazy and letting things slide. Maybe you realize that your plan wasn’t broad enough, or maybe it was too specific. It’s your plan, so work to keep it healthy. Your relationship with your children, spouse, parents, siblings, friends. Your spiritual and philosophical beliefs, how you practice those beliefs, and how you incorporate them into your daily life. Your career goals and how much energy and focus you choose to commit to these achievements. Your time and how you choose to spend it. Your health and your objectives regarding your health. Do you have a Strategic Plan? Does it help to keep clutter — especially time and mental clutter — from getting out of control? If you haven’t written a personal Strategic Plan before, do you think this is a tool that can help you? I like the idea of perfume, but have never really supported the whole “signature scent” concept. Wearing the same fragrance day after day isn’t my style, so I usually just go without perfume because it costs a lot to have many options. I also don’t want a whole dresser top full of large glass bottles tempting my cats. I find, too, that after a year or two the perfume goes stale and loses its oomph! LuckyScent has an option at the bottom of every page of perfume that gives you the choice to purchase a sample (0.7mL.). They even offer sample packs; groups of popular or seasonal fragrances. Thank you, Amanda, for such a terrifically simple idea for men and women who choose to wear a fragrance! Yard maintenance isn’t my most favorite thing in the world. Luckily, my yard is pretty small and the maintenance is minimal. If you have a larger yard with more landscaping and plants to look after, you may want to try some of these tips to cut your maintenance down as much as possible. Go native: Ask your local garden center what the easiest native plants are in your area. Make these native plants the foundation for your yard’s landscaping. Watering: Try and go for drought resistant plants, but you may also want to invest in an automatic watering system that can save you from watering your plants. Take an hour: For an hour a week, go through your yard and keep the weeds to a minimum. Also, make sure the plants are thriving and in good health. Mulch: Mulching around your bushes and plants reduces weeds and helps nourish your plants. Mulch also holds in moisture so you don’t have to water your plants as much. 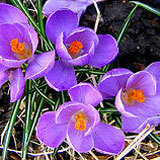 Plant perennials: Plant more perennials and fewer annuals. This will save you time and money every spring. Hire someone: If you absolutely are not interested in, or unable to do yard work, consider hiring someone to do all these tasks for you. If it is cost-effective, of course. As students everywhere start preparing to head to college this fall, I want to talk about the art of small-space living. College students are a demographic that have particular stock in simple living, as does anyone with more possessions than space. Whether it be a 500 square foot downtown studio apartment or a shared room with a sibling, it can be difficult to live in a space the size of a dorm room. Most students arrive at campus for the first time, all bright-eyed and bushy-tailed, with a minivan containing all of their worldly possessions. This is great until they are affronted with a dorm room approximately the size of a large closet. The best way to fit your stuff into an itty-bitty space is to have less stuff. Only take the essentials with you. You shouldn’t abandon all of your trinkets at your parents’ place, either. Photograph and get rid of the napkin from prom and donate those t-shirts from your middle school musical to a local charity. If your dorm room is a suite and has a kitchen, do you really need that mini-fridge, toaster oven, and microwave? Are any of your roommates bringing those items? There is no sense in having three blenders, even if you really like smoothies. Take advantage of movie and music streaming services and let go of your CD and DVD collections. Unless you are in the business school, do you need that suit? Do you really need that commemorative Coors Light bobble-head, under any circumstance? Even if you follow this advice, be prepared to bring a lot of things home for Thanksgiving break. Good luck to everyone heading off to school in the fall and stay tuned for more back-to-school tips. Even though I’m a faithful user of David Allen’s Getting Things Done productivity system, I still find that I will sometimes worry about one or two of my next actions. I don’t worry about how I will complete the item, rather I worry about ridiculous things I cannot control (like if my cold will be over by the time I need to make a presentation). Experience has taught me that when my thoughts become cluttered my effectiveness decreases. Then, to add insult to injury, I get even more frustrated when a task I know should only take five minutes takes me half an hour. It’s a downward spiral that is best addressed earlier instead of later. When I find my thoughts are a mess, I answer the following five questions to unclutter my mind. 1. What is my worry? Many times, simply naming my worry is all that I need to do to quell my racing mind. 2. Is my worry rational, illogical, emotional, something I cannot control, or just noise? Identifying what type of worry I’m having can help me to find a solution to stop the cluttered thoughts. A rational fear might be solved with the creation of an action item. A worry about if it might rain is just noise because there is already an umbrella in my car. 3. Am I afraid of failure? When this worry creeps into my mind I remember a quote I found a year ago by a woman named Martha Mangelsdorf: “What would I do if I were not afraid?” The quote inspires me to imagine how I would behave differently in a given situation if I weren’t afraid of failing. Doing so has never failed to relieve me of this type of fear. 4. What good will come from my worrying? The answer to this question is often “no good.” If this is the answer, then squashing the worry in a swift manner is the only solution to uncluttering my mind. 5. How much additional time should I devote to worrying about this issue? There are times when a fear is rationally grounded and deserves my attention. I will schedule the proper amount of time to devote to the worry (five minutes to five hours) and then address the issue and only that issue during that time. I will sit down with a cup of coffee and a notepad and work out a solution. When my scheduled time is completed, I create action items or I wash my hands of the worry. I try not to be consumed with the worry before the scheduled time, as well as afterward. A focused time to worry keeps the worry from slowing me down during times when my mind needs to be working on something else. My mother has the most beautiful finger nails a woman could ever dream of having. They’re strong and straight and no one believes her when she says that they’re real. She doesn’t have professional manicures and, even though you won’t believe me, she doesn’t wear finger nail polish. To let you in on a secret: My nails are not as beautiful as my mother’s, and I don’t wear finger nail polish either. I wouldn’t even know how to put it on if someone gave me a bottle. I trim and file and put lotion on my cuticles so that my nails always look healthy, clean, and well-maintained. My mom might even buff hers a bit to make hers shiny. But, open up our bathroom cabinets, and you won’t find finger nail polish anywhere. In my experience, people only notice someone else’s nails when they are dirty, unkempt, or have chipped paint on them. If you’re looking to free up some space in your bathroom cabinets, you might think about getting rid of your finger nail polish supply. In addition to giving you some space, it also has the bonus of saving you money on polish and polish remover. I also don’t experience stress about chipping my finger nail polish right before an important meeting. If you decide to get rid of your finger nail polish, be sure to dispose of it properly. Remove the nail polish cap and allow it to become a solid (do this in a well-ventilated area, like on your front porch). 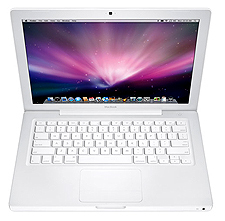 Once it is a solid, it is safe to throw away in the trash. If you have an extensive finger nail polish collection, then take all of your polish to your local hazardous waste disposal facility. It is unsafe to dispose of liquid polish in your trash. Nail polish remover should also be disposed of at your local hazardous waste disposal facility.